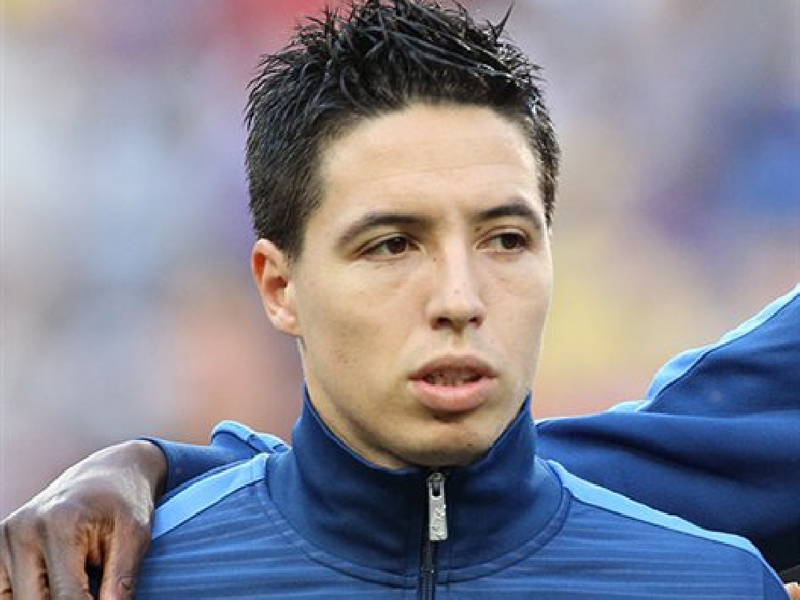 Samir Nasri will only be offered a six-month deal by West Ham if he proves his fitness, report the Mirror. The 31-year-old has been training with the Hammers in a bid to make a Premier League return following a 18-month ban for a doping violation when the midfielder was on loan at Sevilla. West Ham will give the former France international the chance to reunite with his old Manchester City boss Manuel Pellegrini, under whom he won the Premier League title in 2014. But any deal is likely to only run until the end of the current campaign amid concerns about his reported wage demands, thought to be in the region of £80,000 a week. Love Sport verdict: This is classic West Ham transfer policy. There is no doubting Samir Nasri’s pedigree but this could just be another expensive move to sign a player whose best years appear to be behind him. With talks over a new deal for Declan Rice stalling, some might argue that tying down the club’s younger talent would represent a better long-term move for the club. AC Milan have opened talks with out-of-contract Chelsea midfielder Cesc Fabregas, according to a report in Italy from Calciomercato. Fabregas appears to be surplus to requirements under Maurizio Sarri and the 31-year-old’s current deal is set to expire at the end of the season, so Chelsea may sell to avoid the Spaniard leaving for nothing. The Italian giants are keen to strengthen their midfield with Lucas Biglia and Giacomo Bonaventura among those who have suffered injuries in recent times. And Fabregas, who appears to be heading for a Stamford Bridge exit, would fit the bill for the Serie A side. Love Sport verdict: This would be a good fit and Cesc Fabregas would have plenty to offer Milan, even though he’s 32 in May. Chelsea have a decision to make about whether to sell in January, but might Milan wait and sign him for nothing next summer? The key stumbling block might be wages. It seems inevitable that for any move to happen he would have to take a pay cut. 🤔THIS WAS A STRANGE ONE@ALittleBitArse1 along with @JakeWatson_TV discussed @UnaiEmery_ 's formation and decision to drop Mesut Ozil in their 2-1 away defeat of @afcbournemouth last weekend. Arsenal and Tottenham will battle it out to land Hoffenheim midfielder Nadiem Amiri next summer, the Sun report. The 22-year-old German youth international has not featured this term due to a foot injury but has no shortage of admirers in England. But the North London rivals face competition from Schalke with the player understood to be available for around £15 million. Amiri is keen on a move to side challenging for trophies with Arsenal eying him as a possible replacement for Aaron Ramsey who looks destined to leave the Emirates. Love Sport verdict: Arsenal will hope their relationship with Hoffenheim may give them leverage in a bid to tempt the attacking midfielder to the red half of North London; Gunners youngster Reiss Nelson is currently on loan at the Bundesliga side, after all. It remains to be seen if their interest is genuine but they will quickly move on to other targets should Nadiem Amiri stall over a move.